The Poseidon Triple Torch by Vertigo features a built-in punch cutter, single action ignition, and large flame adjuster wheel. 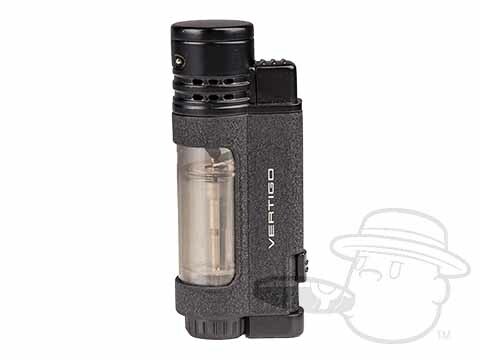 The metal body is highlighted by a clear fuel tank that lets you easily keep an eye on how much butane is left in the tank. Form, function, and firepower at your fingertips, friends.